The Jesus of the Gospels is offensive because of how inclusive He is. The Jesus of the Gospels is offensive because of how exclusive He is. The church is offended by His inclusivity, and the world is offended by His exclusivity. Thus we are inclined to weaken the offense, either by minimizing His inclusive call or by downplaying His exclusive claims. Unfortunately, whenever we lop off one side or the other, we wind up with a Jesus in our own image. Instead, we should celebrate both Jesus’ inclusiveness and His exclusivity, for this is the polarity that makes Jesus so irresistibly compelling. 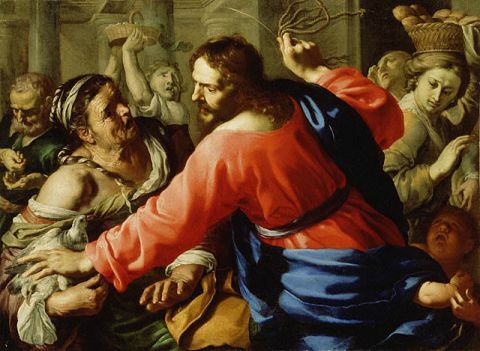 The Gospels portray Jesus as a Messiah who consistently and willfully angered many of the most religious in His day. His message presents hope; His miracles proclaim the kingdom. But He celebrates with all the wrong people. Jesus doesn’t kowtow to the religious elite. He won’t abide by their categories of who’s in and who’s out. He won’t join them in “writing off” the common sinners. He eats with tax collectors and prostitutes. He’s not afraid of their houses. He’s not disgusted by their impurity. Jesus’ inclusivity shocks the religious leaders. He throws open the doors of the kingdom to sinners of all stripes, and He rails against the religious for their self-righteous piety of exclusivity. Evangelicals often talk about how the exclusive claims of Christ are offensive in our culture today, but we sometimes miss how the inclusivity of Christ was so offensive in his first-century context. And in missing that truth, we are unlikely to spot the ways we have thrown up barriers and erected walls around the gospel. The inclusive posture of Jesus toward women, toward the sick, toward the outcast, toward the worst of sinners poses a challenge to the church today, just as it did for the Pharisees two thousand years ago. The prostitute in church may be closer to God than the self-righteous prig, C. S. Lewis wrote, echoing Jesus’ words that the tax collectors and prostitutes were entering the kingdom before the Pharisees. Until the radically offensive inclusiveness of God’s grace seeps into your bones, you will never join Jesus at the margins of society, welcoming and blessing repentant sinners of all kinds. The same Jesus who calls the weary to come to Him for rest is the One who demands we deny ourselves and follow Him to our deaths. This Jesus says He is the one way to God, the Truth, the Life. No one comes to God except through Him. Got that? His way is narrow. The gate is small. He is the Bread of Heaven, and unless you consume Him, you will perish. If you’re offended by the shocking nature of these exclusive claims, then you can walk away, just like the crowds did in John 6. So, with one hand, Jesus is beckoning everyone everywhere to come to Him. With the other hand, He is pushing people away. Have you counted the cost? Unless you repent, you will perish! Are you willing to give up your rights and bow the knee? Let’s be frank. Exclusivity is offensive when we are used to having choices, when we think tolerance must mean variety. Jesus seems to think He’s special, that God’s grace comes through Him alone. The only heart that can receive such grace is the repentant heart. Repentance is the trading of your personal kingdom agenda for the kingdom agenda of Jesus Christ, and that’s an agenda that includes all the spheres of your life – how you live, how you love, how you give, how you worship, how you behave sexually, how you speak, how you follow Him as Lord. Jesus said He came to call sinners to repentance. The church is offended that Jesus’ call is for sinners. The world is offended that He calls for repentance. That’s why the world minimizes His exclusive claims until Jesus is reduced to a social justice warrior who affirms people as they are. And that’s why the church minimizes His inclusive call until Jesus is reduced to a badge of honor for church folks who think their obedience makes them right with God. The good news is that Jesus wants to change all of us, and change us all. In grace, He opens the clinched fist of the religious hypocrite, and He narrows the vision of the “open-minded” sinner until He is the only One in view. How? By destroying self-righteousness through His death and resurrection. You see, the church is self-righteous when it condemns the inclusive call to sinners. And the world is self-righteous when it condemns the exclusive call to repentance. But the Gospels give us a Jesus who explodes self-righteousness in all its forms when He gives His body to be battered and bruised and hung on a tree. So don’t give up the inclusive or exclusive challenge of Jesus. It’s what makes Him different from everyone else. It’s what is so attractive about Him. It’s the sign that He truly is God, that He loves us enough to not leave us alone.